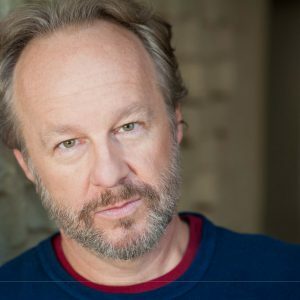 As an actor on Broadway, Bob has performed in The Drowsy Chaperone, 42nd Street Revival (Bert Barry), The Ziegfeld Follies of 1936 (with brother Jim Walton), Once Upon A Mattress, Show Boat, and City Of Angels (Jimmy Powers.). Bob has also done national tours for A Funny Thing Happened on The Way to the Forum (Hero) with Mickey Rooney, and City of Angels (Jimmy Powers). Off-Broadway, Bob has starred in I Love You/Perfect/Change, Forbidden Broadway Strikes Back, and Preppies. Gus in Babes In Arms (Directed by Ginger Rogers), Bobby in Crazy for You, Pseudolus in A Funny Thing Happened On The Way To The Forum, and Motel in Fiddler on the Roof. Bob’s TV credits include The Good Wife, The Americans, Person Of Interest, Nurse Jackie, Law and Order: SVU, Newhart and Picket Fences. As a writer, Bob and his brother, Jim, have written three shows licensed by The Rodgers and Hammerstein Organization: Mid-Life! (The Crisis Musical) [*iTunes], Mid-Life 2(#WhatDidIComeInHereFor? ), and Double Trouble (A Musical Tour de Farce). Other shows they’ve written include A Day In Gloucester and My Brother’s Keeper. Bob is co-author of the Off Broadway play Game Show, and also wrote Can You Dig It? (A ’70s Love Story), and is currently developing a political satire musical called @DrumpfShow (A Totally Un-biased Revue). Bob also orchestrates, and has directed and musical directed many shows professionally, as well as for RRS. Married to RPAC Director Laurie Walton, they have two professional actor-children: Emily and Alex.